Taking a Fort Lauderdale air boat tour can be exciting for both tourists and Florida natives. While our staff members would be more than happy to walk you through everything on the phone, here are a few planning tips to make sure that you and your family get the most of your fun wildlife adventure! 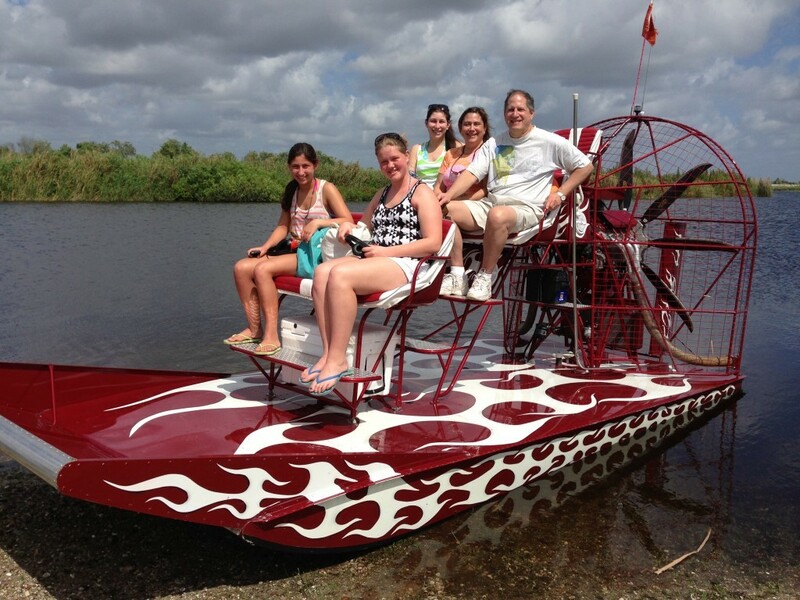 Although Fort Lauderdale Airboat Rides will do it’s best to accommodate you and your family, we are one of the most popular air boat tour providers in the Fort Lauderdale area. It is best to call ahead at (954) 338-4890 or fill out the contact form here. We are open year round and can make accommodations for you to ensure the best possible trip. Whether you’d like to take your significant other out for a special trip, take the whole family out, or even take the company out for a corporate event, we can make it happen! Florida weather can be unpredictable, and we will take into account extenuating weather circumstances, but it is still best to check the weather ahead of time. We understand that if you are booking 2 months in advance, it will be impossible to know what the weather is going to be on the day of your tour. If unforeseen weather pops up and our staff or the Captain decides that it is too dangerous to proceed with the tour, you may receive a refund of your deposit or have the trip scheduled for another time within the same calendar week. Safety is our utmost priority and we will never jeopardize the safety of our passengers. Dress Appropriately As We Will Be Heading Into The Florida Everglades! While you don’t need to wear anything crazy for your Fort Lauderdale air boat tour, keep in mind that we will traveling through the Florida Everglades. Florida can get hot and sticky, so shorts, flip flops, and a t-shirt are some of the most common clothing items our passengers wear. If it is winter time, a light jacket or a windbreaker is not a bad idea. Don’t forget your sunscreen either as the Florida Sun can cause sunburn before you know it! We will be traveling through the Florida swamps, with high probability of seeing lots of really cool wildlife. If you would like to take pictures, be sure to have your phone charged or your camera ready. We frequently see alligators and some amazing birdlife while we are out there. We provide a cooler and water but feel free to pack snacks, as you will be on the airboat tour for a minimum of an hour, but maybe more depending on the trip that you scheduled. If you have any questions about our Fort Lauderdale air boat tours, give us a call today at 954-338-4890!